In the most recent issue of the British medical journal, The Lancet, a study of over 400,000 people in Taiwan followed for an average of eight years has shown that you don’t need to exercise a lot in order to reap the benefits — including a longer life. As little as 15 minutes of exercise a day or 90 minutes a week can add up to 3 years to your life! Men in the study lived on average 2.55 years longer than their non-exercising counterparts and for women, there was 3.10 years on average between the active and the sedentary group. This translates to a decrease in overall risk of dying by 14% with as little as 15 minutes of exercise a day with a further reduction of 4% for every additional 15 min of daily exercise beyond the minimum amount of 15 min a day. What type of exercise and what level of intensity? Researchers examined different types of exercise from regular walking to fast walking to jogging to running and found the benefits were there at all levels but they did confirm that there is a dose-response relationship, so that those who exercised for longer periods and at a higher intensity level reaped more benefits. Again, the participants in the study were compared with people who did no exercise at all. What this study shows is that there are benefits at even 90 minutes a week (6 days X 15 minutes), which is less than Canada’s new guidelines of 150 minutes a week at a moderate level or above. However, the study also showed that those who met the generally recommended guidelines of 30 minutes per day at a moderate level, life expectancy was even greater (4.21 years longer for men, on average, and 3.67 years longer for women). 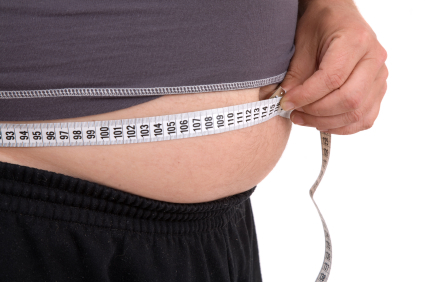 Just released in the Canadian Medical Association Journal, a new study shows that overweight or obese people may not necessarily be considered unfit because they have a high weight to height ratio (commonly called the BMI or Body Mass Index). To be considered overweight, one must have a BMI greater than 25. To be considered obese, the number must be greater than 30. Researchers at the University of Alberta analyzed data from over 8000 participants of the National Health and Human Nutrition Examination Surveys (NHANES) and conducted follow-up studies to determine death rates. Of those considered overweight or obese, they applied the Edmonton Obesity Staging System (EOSS) to determine if early death rates could be predicted based on high scores. Although it makes use of traditional body measurement tools such as BMI and hip to waist ratios, the Staging System goes beyond that by including other obesity related health factors which then rank the person on one of five stages of risk. Stage 0 means there are no health problems despite being overweight whereas someone in stage 4 would have severe diseases associated with obesity that put them at risk for early death. The researchers determined that for the overweight and obese respondents to the survey, about 77% had a score of 1 or 2. Scores of 2 were associated with higher death rate versus scores of 0 or 1. A score of 1 translates to the presence of obesity-related risk factors, such as high blood pressure and elevated fasting blood sugar levels but at borderline levels, shortness of breath for moderate exertion, some aches and pains, and mild functional limitations. A score of 2 translates to the presence of chronic diseases clearly associated with obesity, such as high blood pressure, coronary heart disease, Type 2 Diabetes, sleep apnea, arthritis, and moderate limitation in activities of daily living. Death rates were not any higher for overweight and obese people over the 16 years of study for those rating 0 on the EOSS and only slightly higher for those who scored 1. But for those scoring 2 or more, there was a marked increase in death rate with only 50 to 70 % survival rate compared with those who scored 0. So, regardless of obesity level, it was the score on the EOSS that was the greater predictor of early death. In another study published recently in the journal Applied Physiology, Nutrition and Metabolism, 5400 men and 770 women who had BMIs of 30 or more (i.e. obese) were scored on the EOSS and were compared with 23,000 normal weight people also over a 16 year period. The lead researcher of this study, Prof. Jennifer Kuk at York University’s School of Kinesiology and Health Studies in Toronto, found that people in Stages 2 and 3 were at high risk of developing coronary heart disease but those in stages 0 and 1 were not. This study used a modified EOSS which excluded Stage 4. Surprisingly those obese people in stages 0 and 1 were at a lower risk for cardiovascular disease and coronary heart disease than normal-weight individuals but all obese patients were at an higher risk for death due to cancer but not for death caused by other factors besides cancer or heart related. Based on her data, Kuk suggests that up to one third of the 6000 people could be considered “healthy obese” based on her examination of the data. Being overweight by age 21, having low cardiovascular fitness, smoking status, and eating few fruits and vegetables were all associated with Stages 2 and 3. To be considered “healthy obese”, Kuk says, people must lead a healthy lifestyle, follow a good diet, and get regular exercise. Otherwise, these factors along with their obesity will put them at greater risk of early death. This also shifts the focus away from an obsession with weight loss, especially for those who get caught in a viscous cycle of dieting, toward becoming healthier through a healthy diet, lifestyle, and regular physical activity.